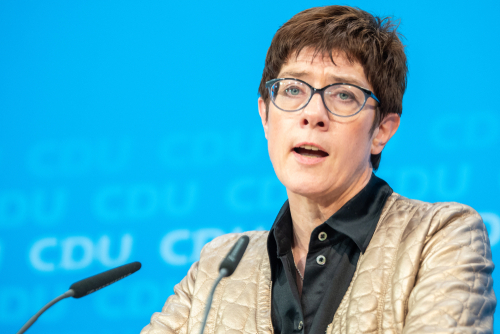 Annegret Kramp-Karrenbauer was elected by the CDU party congress in the second ballot by a narrow majority to the new CDU chairmen. Kramp-Karrenbauer received 51.75% of the delegate votes, Friedrich Merz 48.25% of the vote. Jens Spahn was eliminated after the first ballot. Therefore, the CDU has sealed its fate. Kramp-Karrenbauer will maintain the policies of Merkel and will not push Merkel out of office. This is setting things up for a stronger rise of the AfD and puts the CDU at risk of dividing yet over the Refugee Issue. Hillary should have just learned to speak German.